Gramophone disks are treasures that can stay with you for many years, but the fact remains that they are easily bent, and fragile. 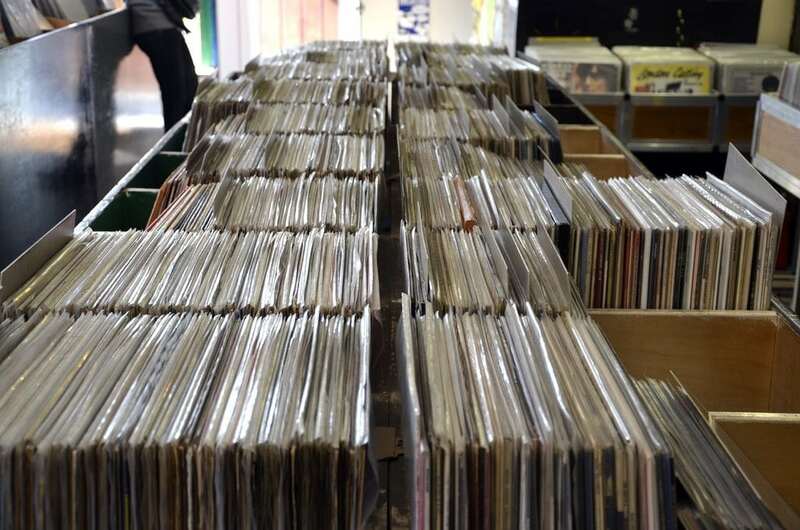 Even you are just a newcomer or true collector, understanding the importance of storing vinyl properly is required apart from the regular maintenance. In case you have a number of records to be stored, stay with us and see our recommended ways on how to store records in the right way. Why Do You Need to Put Records In The Safe Storage? Sadly, a lot of people underestimate the necessity of storing vinyl records as they thought they are just plastic plates which do not need to take care of. It is true that those phonograph records are made from a strong plastic, but they can be bent so easily, and without caution, users will leave some scratches on the surface. Keeping them in good conditions is the most effective method prolonging their lifespan and, of course, you do not have regularly pay for the replacement, right? The reason behind is that debris and fine dust are likely to stay on those furrows even though they are invisible to our eyes. Otherwise, when they are covered or protected, you can minimize the risk of being broken or scratched by our hands. As a result, the surface noise will appear, the sound will be no longer clear and pleasing, the record tends to skip or crackle. In the worst situation, your vinyl is not playable anymore. In fact, a low-quality record might affect your phonograph as well, which directly cause damage to the stylus. Hence, the safe storage can help you maintain their original quality of your vinyl records and prevent disastrous impact on the gramophone. Before showing you several ways on how to store records, we had better together look at some useful pieces of advice for caring those sensitive plates at home. Arranging everything neatly is good, but that is not true when it comes to storing vinyl records. Putting them on top of each other, even when they are covered with their jackets, means you are on the way to damage those plates permanently. This is a very simple rule but not so many people know and follow it. This position will help them stay in the best condition. Instead, most of the users tend to store their records at a slant which easily make the vinyl warp due to the uneven pressure. Every time you take a record to play, avoid touching its surface, just the edge only! When you let your fingers directly contact the top layer, you unintentionally leave some fingerprints containing oils and acids. Over a period of time, the sound quality will be badly reduced. Aside from the time playing session, the only time that you should take their jackets off is when you do the cleaning. Leaving them in the environment will give dust and gunge excellent chances to build up onto the surface. Over time, both records and the needle will be adversely influenced. Static electricity is created which attracts a huge amount of debris and dust particles while the needle is ‘reading’ grooves on your records. So, to protect and maintain the original condition of both your gramophone and vinyl records, use special tooth to clean them before putting them back into their jackets. Do you finish noting them down? If yes, let’s move to the next section! Regarding vinyl record storage, there are 6 steps you should take to have complete protection. In case you desire to know how to store records in the right way, prepare a pen and some sheets of paper now. Well, it is not so complicated. Just imagine storing discs as putting text and numbers in excel so that you can access them easily. The first rule you must remember is not to leave your record collection without sleeves. Apart from preventing the attack of dirty substances, inner sleeves can keep them away from the unexpected damage due to the contact with other objects. Thus, an inner sleeve could be the first and foremost medium you ought to prepare. 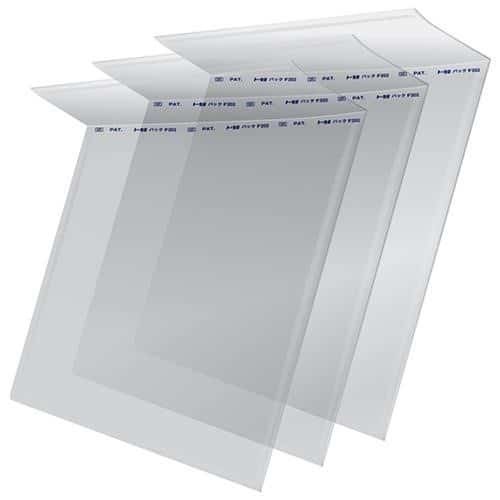 Regarding choosing good inner sleeves, there are 2 suggested types – variant forms of plastic sleeves with a round bottom, and plastic liners with a paper inside. Honestly, the former is the best option as there will no obstacle to getting the corners of the inside paper into its card sleeve causing creasing and folding. Meanwhile, do not choose products which are made of pure paper. They often come with a rough surface covered with sand or other similar substances, so moving your precious records on a regular basis tends to add more surface noise to them. An inner sleeve is not enough for sure. 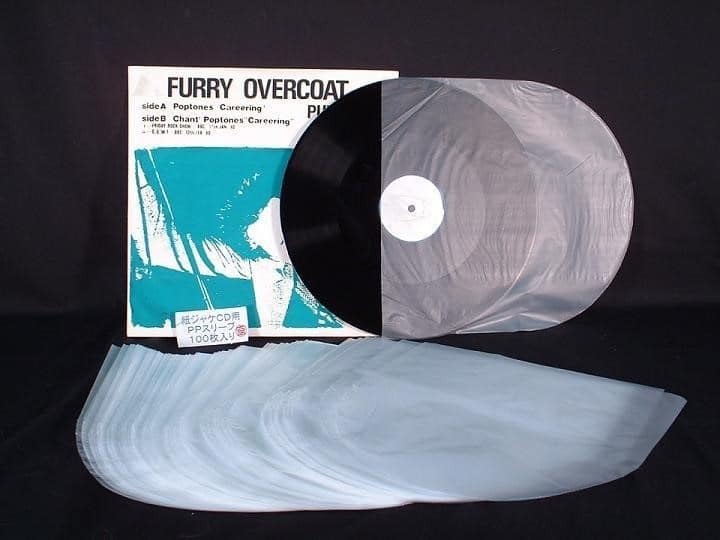 You also need to get outer coverings for your record collection accompanying the inner counterparts. They have responsibility for ensuring that the vinyl’s card sleeve will not be damaged as well as preventing the dust from finding your gramophone disks and rubbing their surfaces over time. However, not all types of outer sleeves available on the market can deliver a good performance. Do not purchase the thick and heavy plastic samples because they are likely to stick to your record sleeve. Instead, you had better stay with cheaper, roomy and soft sleeves. It will be our big shortcoming if we do not mention vinyl bags when it comes to how to store records properly. These special bags are made from thick Myler and fit your records like an ordinary outer cover. The major difference here is that each vinyl bag is equipped with a huge flap as well as a sticky strip outside. 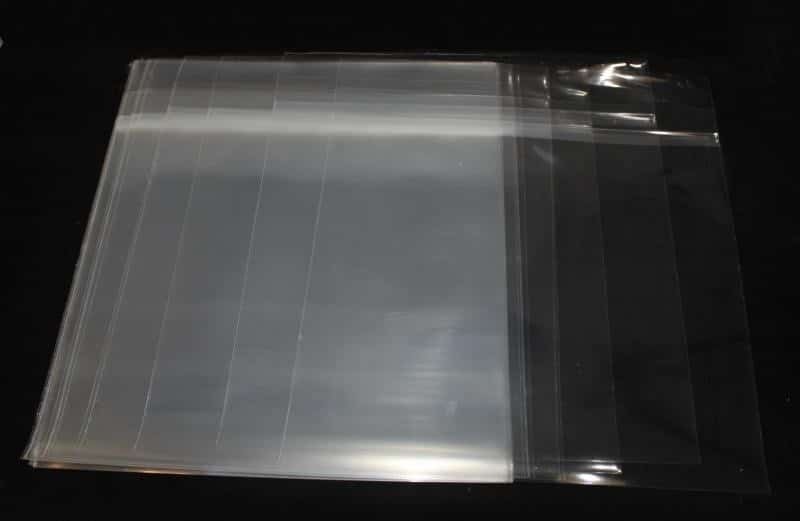 Hence, you can easily realize that a standard sleeve can remain open one 1 side only whereas a 2mm thick bag does not only protect your discs but also preventing airborne rubbish from entering the cover. Before putting disks in place, we highly recommend you to have some record dividers. This tool will provide them some space to breathe, keep them staying upright, and avoid stacking that might bend your treasures easily. Interestingly, these dividers can give you a clue to the position of discs so that you do not have to spend 30 minutes looking for your favorite disks. To have that sense of cataloging, you can find a collection of plastic products scribbling music genres or alphabet. For decoration, you should purchase a set of high-quality and wooden dividers. 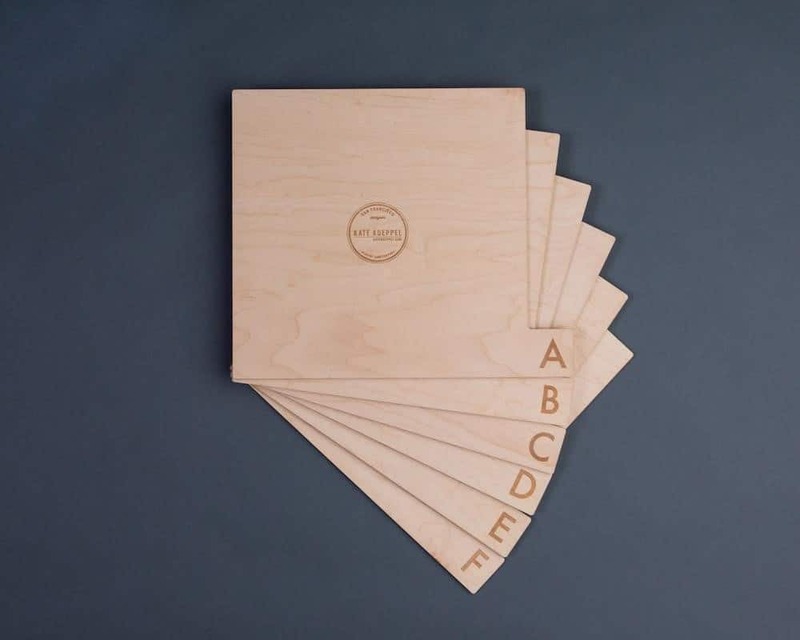 Those typographic panels usually come in 2 sizes – 7-inch and 12-inch records. Normally, a collection consists of vertical tabs for the record boxes and horizontal ones for shelving. Otherwise, the manufacturers offer consumers 2 lettering styles to choose: stenciled and engraved. Also, depending on the number of records you own, you will have a couple of choices. For big collections, you might go for a 26-panel set (A – Z) while abbreviated 6-panel version (A – D, E – H, I – L, M – P, Q – T, and U – Z) is produced for mini collections. 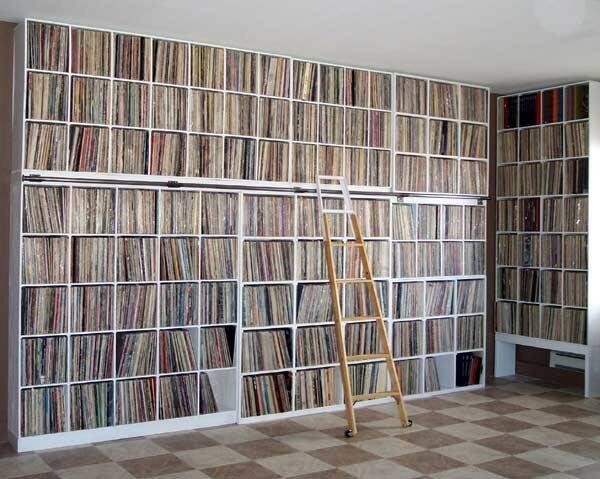 The final step on how to store records is to put them in order. In this field, there are 4 ways for you to choose. It heavily depends on how often you play those disks, or you just want to collect them to make an impressive collection of vintage things. Once you make sure that all of the records are encased, it is time to get them well arranged. In case you are a music enthusiast and often have a listening session, a record shelf is necessary. The size of your shelving system will be based on the number of plastic plates and the available space. Aside from checking whether it is aesthetic or not, you must ensure that the shelf is sturdy enough to handle the weight of your vinyl disks. No one like to clean up a terrible mess after a long working day, right? 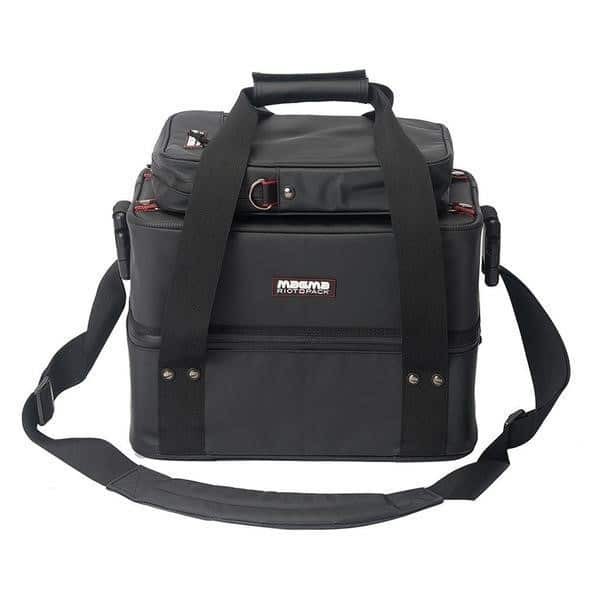 In fact, a mobile vinyl bag is a type of mobile storage. However, it is not similar to usual flight case. This handy storage compartment can keep up to 40 vinyl records. In reality, these bags like this are well loved by DJs, or vinyl fans do not want to keep their valuable discs far away from them. So if your living area does not have enough room to have a record shelving system, a mobile bag would be a good choice. 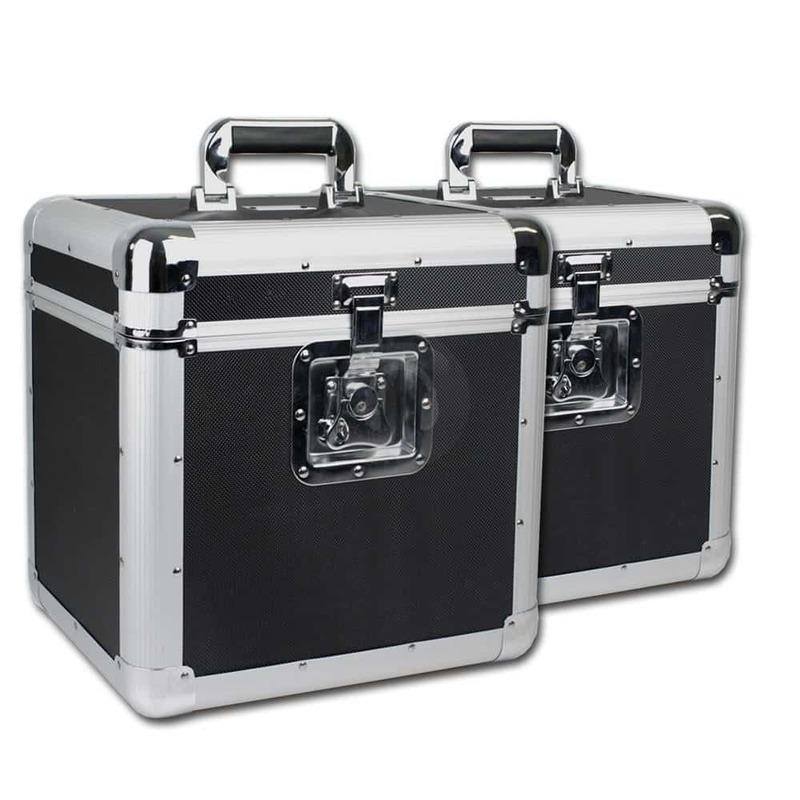 Apart from the mobile reason, in case you have a large number of records that need storing as you think they are not often played, using a DJ flight case is a good way which you should take into consideration. An aluminum variant has enough space to store up to 50 – 70 phonograph records inside. The combination of internal padding and steel corners provides your precious objects with extra protection. Likewise, users will get a lockable catch and padded carry as well for security and maneuverability respectively. 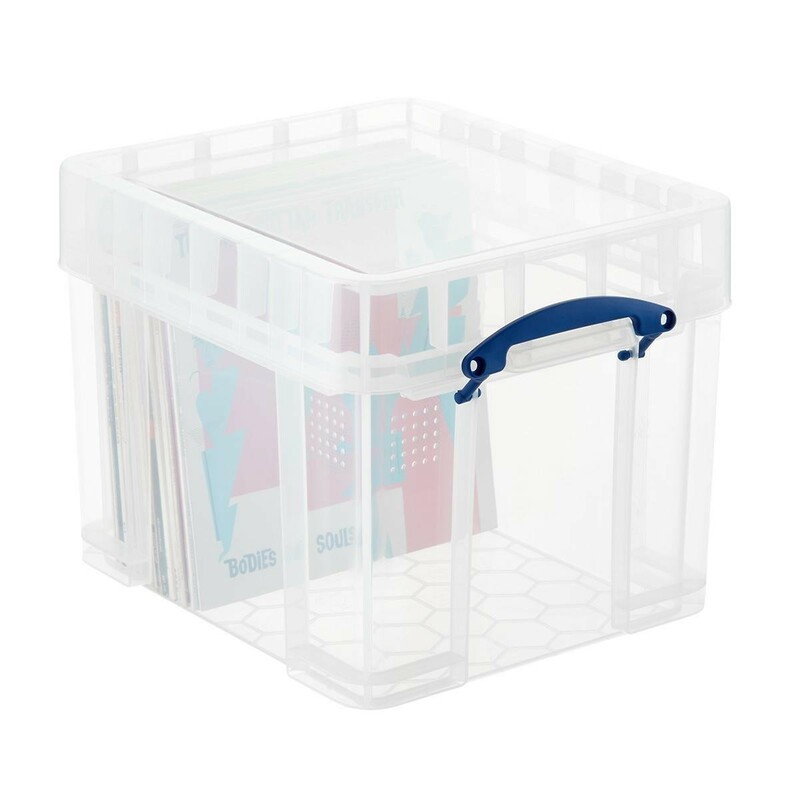 In case you are looking for a solution to archive your vinyl collection for a long time and do not to get access to them, a plastic box is a good selection. To be more specific, you had better go for heavy-duty ones since your discs need highly protecting to avoid damaging impact. A nineteen-liter model could hold about 50 records, with a sturdy handle for easy transport. Some people think that plastic is a bit expensive, so they buy cardboard boxes to store their vinyl disks. Nevertheless, you must be aware that those boxes are not strong and sturdy enough to hold your collection. Keep in mind that these are vinyl records, not normal CDs. 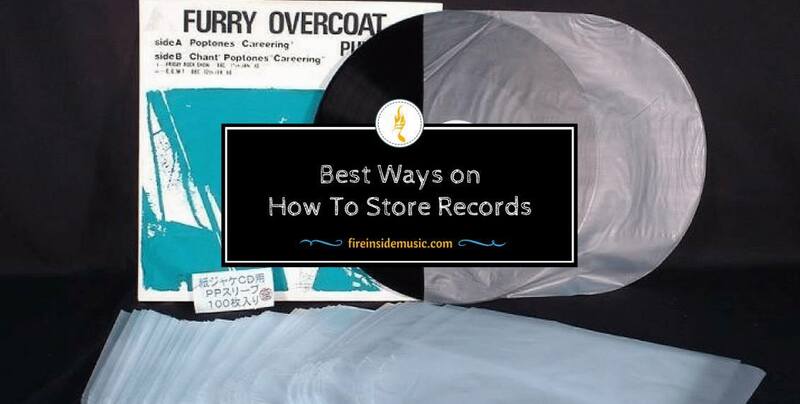 So we have just walked you through 5 basic steps on how to store records, and we have also talked a lot about right things to do. What about no-nos to avoid? Let’s check the list out! Store your vinyl collection in heat. Try to keep them away from direct sunlight. Otherwise, a room temperature of around 18 to 21°C is ideal. Hope that with our ultimate guide and handy tips on how to store records can help you prolong their life and the original quality as well. If you have concerns, don’t be shy to drop a comment below. Thank you for spending reading today article.